Steamtown Marathon......Up early in the AM to drive to the start. Scranton is about an hour away from my home. Really nice to be able stay at home and sleep in my own bed. On the way to the start I experienced some stomach issues, but Imodium took care of business:) I talked to Caleb a few days before the race and the strategy was clear, do not rush those hills. Try to vary the stride to be easy on my inner thigh that has been cranky. For the inner thigh I used KT tape and it kept it in place, with no worries. I was consider compression shorts but I chose not to in the end as I wanted more movement and it was going to be a hot ending, afraid of being to hot. 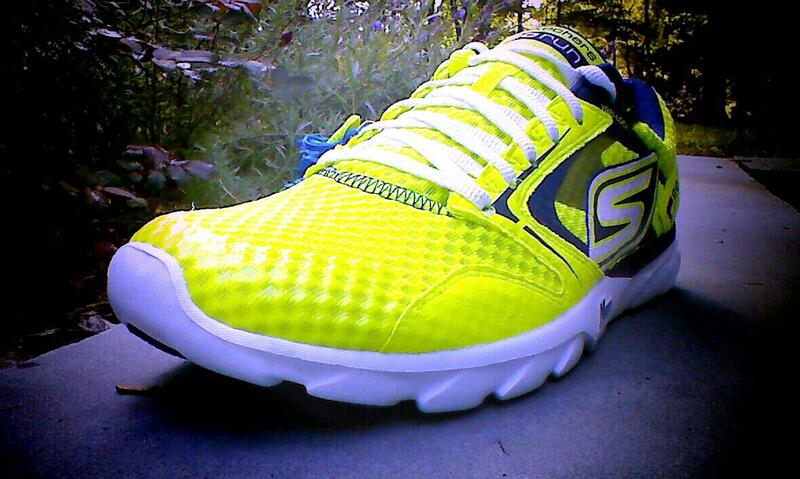 As always for the marathon and my road races I used SKECHERS Performance Divisions GoRun Speed. The Speeds performed great as usual, giving me the protection I needed and the awesome fast responsive feeling. I always feel confident using the Speeds. Pace went as planned, I controlled the pace on the down hills trying to save those legs. Some splits went maybe a little bit to fast but over all I was really happy how I performed. The big game changer was my fueling and my calves. Calves started to firm up right after I had passed the two long trail parts. I think in a combination with the down hills my calves was not happy to face the softer rail beds. Passed Erin and family around mile 17. Always a great motivational booster to see them support me! But the calves were still stiff as bricks. At mile 18 I stopped for 30 sec to stretch them out, after a few minutes of running it came back again. I didn't really slowed me down but the fear of cramping both calves was hanging over my head. looking at my splits after, I was now doing low 7s so maybe I got a bit fatigue at this point. Totally normal to have ups and down...I continued to run strong. Mindset was great and I was confident to break a new PB. Then BOOM! Right before the last 2 big hills, from no where, cramp left hamstring. I had to lay down down and ask for help, after 4 tries to stand up, I was ready to go again. Got some bananas from the awesome crowed and Gatorade. I felt strong again and started to pass runners. At mile 26 I was down doing sub 7 miles, this on a uphill mile (heartbreak hill ish). 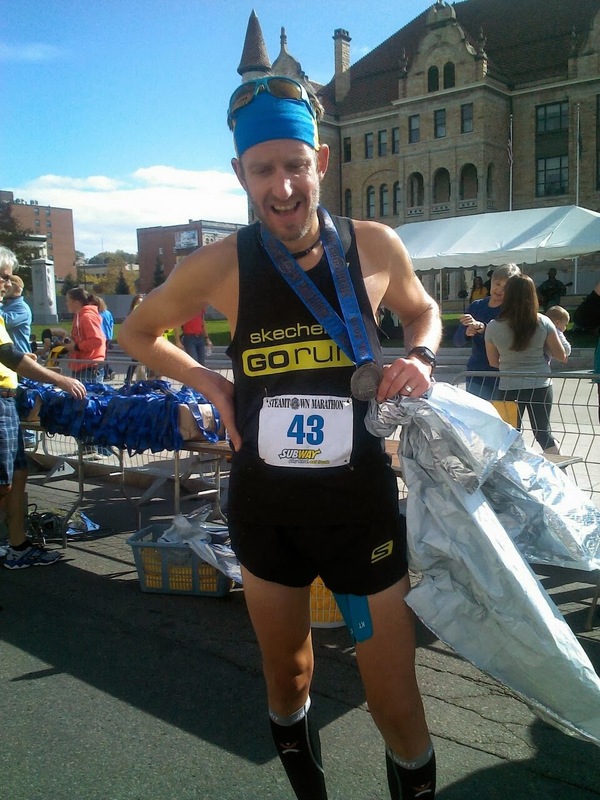 I had gas left and I finished strong, showing the Scranton crowed how you finish GoRun Strong! Over all really happy with race, lessons learned need more fluids was really dehydrated after. I need to focus on the fluids when the stops are every other mile. Now its time to focus on some good recovery and to hit Boston stronger then ever, representing Skechers Performnce Division! #Golikeneverbefore!